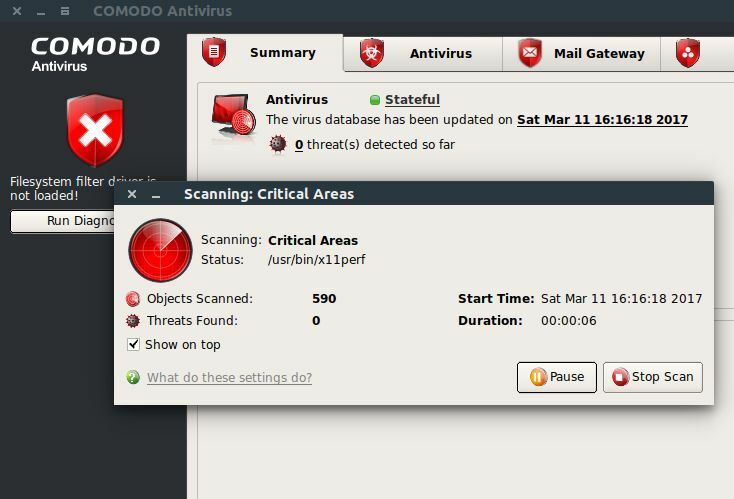 Comodo Antivirus for Linux (CAVL) is a free antivirus and mail gateway software for your linux system from Comodo Group, Inc. The mail gateway provides anti-spam filter and it block email related threats.And it compatible with Postfix, qmail, Sendmail and Exim MTA’s. It comes with automatic updates, scan scheduler, event viewer and custom scan profiles. 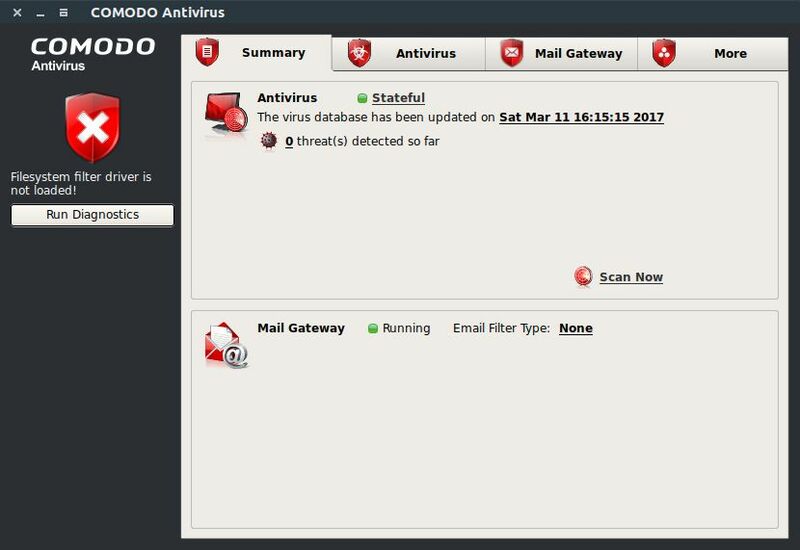 Go to Comodo Antivirus for Linux download page. And choose your operating system as Ubuntu from the dropdown and also select 32-bit or 64-bit based on your system. And click the download button. By default, it will download the file in your Downloads folder. The downloaded file name is cav-linux_x64.deb (its for the 64-bit OS). For the 32-bit oS its cav-linux_x86.deb. Download libssl0.9.8 for your OS type (32 or 64 bit) from above link. The default download location is Downloads folder. Open your terminal app and run the below command. Then run the below command in terminal. Then type the below command in your terminal and hit enter. Then run the below command one by on in your terminal. when asked press enter. Then continuously press enter to read and confirm the installation.